Dive into the creative and powerful projects brought to you by NALAC's newest batch of grantees. Read More & Meet the Grantees. In preparation for our 31st Regional Arts Training Workshop in Charlotte, NC, NALAC's Gabriel Magraner visited partners, community leaders, advocates, and artists around Raleigh and Charlotte. We learned a lot from these visits, and look forward to continuing to work alongside the communities we met along the way. A big "thank you" to North Carolina Humanities Council, the Mexican Consulate in Raleigh, El Centro Hispano in Durham, AMEXCAN in Greenville, Charlotte's The Mint Museum, LaCa Projects, Arte Latino Now, Levine Museum of the New South, and Columbia SC's Palmetto Luna Arts and The Nickelodeon for their generosity during our site visits and crucial perspectives from the field. Feel free to reach out to Gabriel at gmagraner@nalac.org to chat about the convening, or complete the survey here to share ideas, potential presenters, performers and collaborators. 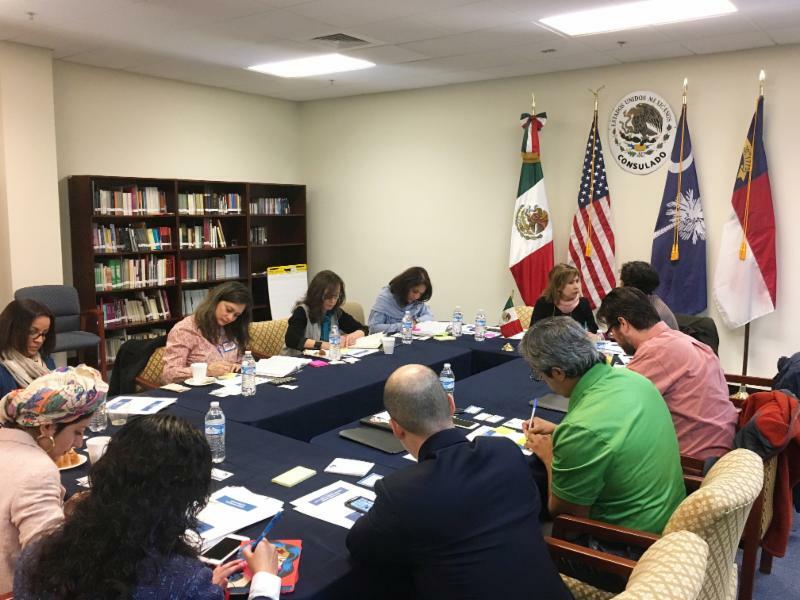 Meeting at the Mexican Consulate in Raleigh to discuss challenges faced by Latinxs in North Carolina. Welcome 2017 Advocacy Leadership Institute Fellows! NALAC is proud to announce its seventh cohort of Advocacy Leadership Institute Fellows who will convene April 23-25, 2017 in Washington, D.C. The ALI is an intensive, hands-on training that builds advocacy skills and knowledge about the role of government and public institutions in the arts field. The political climate is challenging, but it is important for all of us to remind our elected officials that the arts generate economic development, increase quality of life for families, and encourage innovation and entrepreneurial thinking. The Intercultural Leadership Institute (ILI) announced their 2017-2018 inaugural fellows and program dates. Conceived of by non-profit regional and national arts organizations -Alternate ROOTS, First Peoples Fund, National Association of Latino Arts and Cultures (NALAC) and PA'I Foundation - ILI is a newly formed, paradigm-shifting personal and leadership development program for artists, culture bearers, and other arts professionals. Its purpose is to give voice to arts practitioners and advocates who are less represented in the dominant culture of the United States, including those whose lives reflect the traditional heritages of African Americans, Native Americans, native Hawaiians, Latinx culture, and other communities and cultures throughout the U.S. Read more here, and follow the ILI on Facebook and Twitter to keep up with the program. All of us at NALAC extend our sincere condolences to everyone touched by the life and art of Miriam Colón. Miriam's roles included Al Pacino's mother in "Scarface," and she founded the Puerto Rican Traveling Theater in New York City. 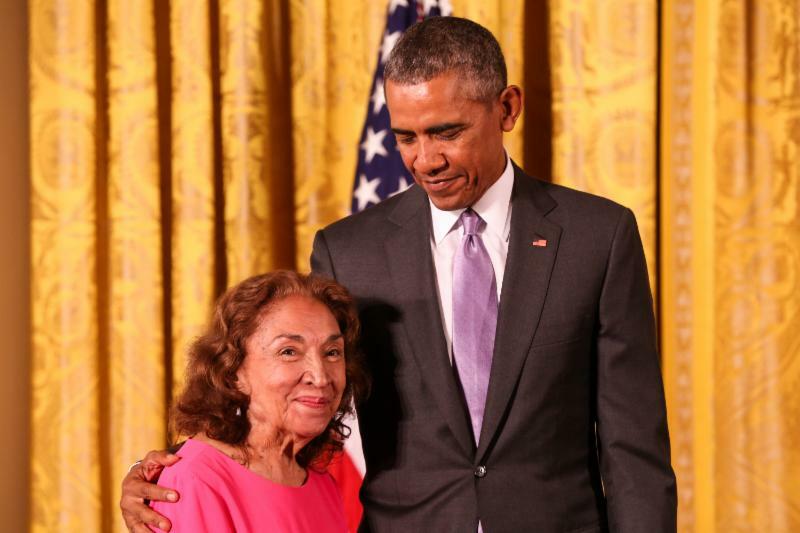 A formidable force in the world of the arts, Miriam received the 2014 National Medal of Art in a White House ceremony on September 10, 2015 and the 2004 NALAC Lifetime Achievement Award. "We are saddened at the news of Miriam's passing and were honored to have spent time with her. Miriam was a trailblazerand role model for so many artists in our community. She was immensely talented and her work on and off the screen reflected her dignity and passion for her work. She worked tirelessly to assure Latinos had a voice on the big screen and established the Puerto Rican Traveling Theater to assure the voices and stories of our community were reflected on stage as well. 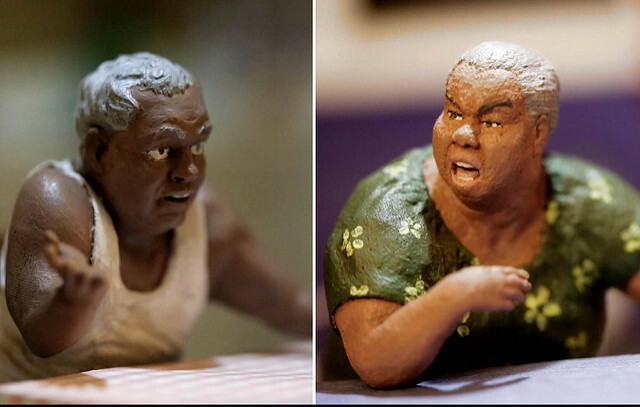 Miriam received the 2014 National Medal of Art, an honor she was immensely proud of. 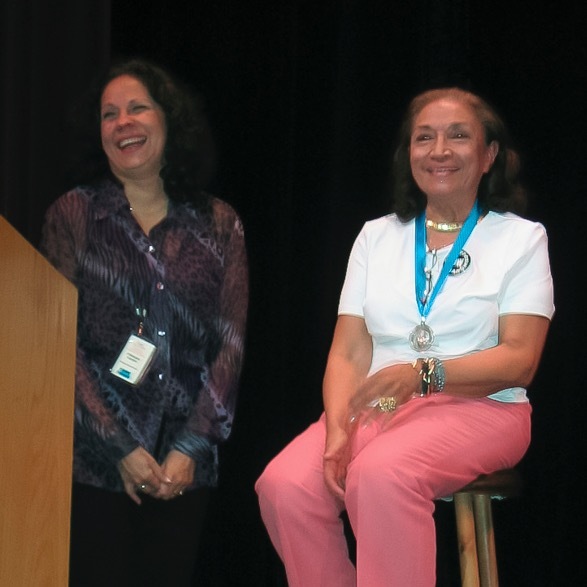 In 2004, NALAC recognized Miriam's lifelong commitment and awarded her a NALAC Lifetime Achievement Award at the 2004 National Conference in Kansas City, Missouri. She will be missed by many but her legacy will live on," said Maria de Leon, NALAC President and CEO. NALAC grantee recipient and NLI alum, William Caballero, talks about what it takes for Latinx filmmakers to make it to Sundance Film Festival. His short "Victor & Isolina" is a Sundance 2017 Official Selection. "I actually received the first HBO documentary grant for $10,000 for American Dreams Deferred which was another big boost for my career. Each project you do adds to your battle chest of experience and it looks good on your resume and your bio. So now getting grants is a bit easier, and I'd say the main financier of this project was an artist grant from NALAC. You have to start somewhere, and I think it starts with finding people who believe in you. It's about creating art and it's about finding people who want to create that art and be a part of that experience. I could've done it without the money, but I couldn't have done it without the team that I work with." Read more. 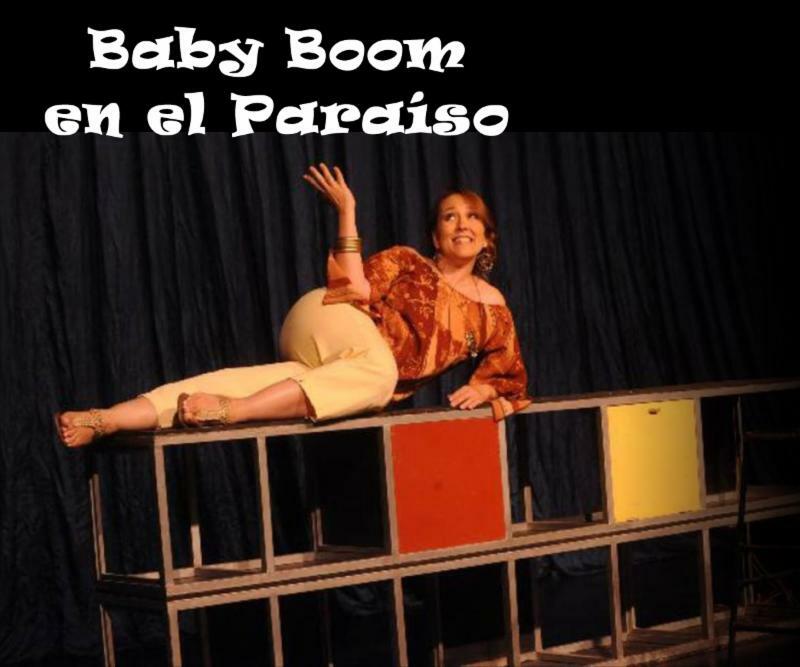 Washington, D.C. | GALA Hispanic Theater "Baby Boom el el Paraíso"
3333 14th Street, NW, Washington D.C. The GALA Hispanic Theatre continues its 41st season with the US premiere of Baby Boom en el Paraíso by Costa Rican Ana Istarú. In this hilarious and touching story, a woman explores the emotions and physical changes that she faces during pregnancy and how they affect her relationships and the perceptions of her by others. With biting humor, the piece analyzes circumstances that millions of women around the world go through daily. NALAC is proud to support Baby Boom through theNALAC Transnational Cultural Remittances Grant Program. 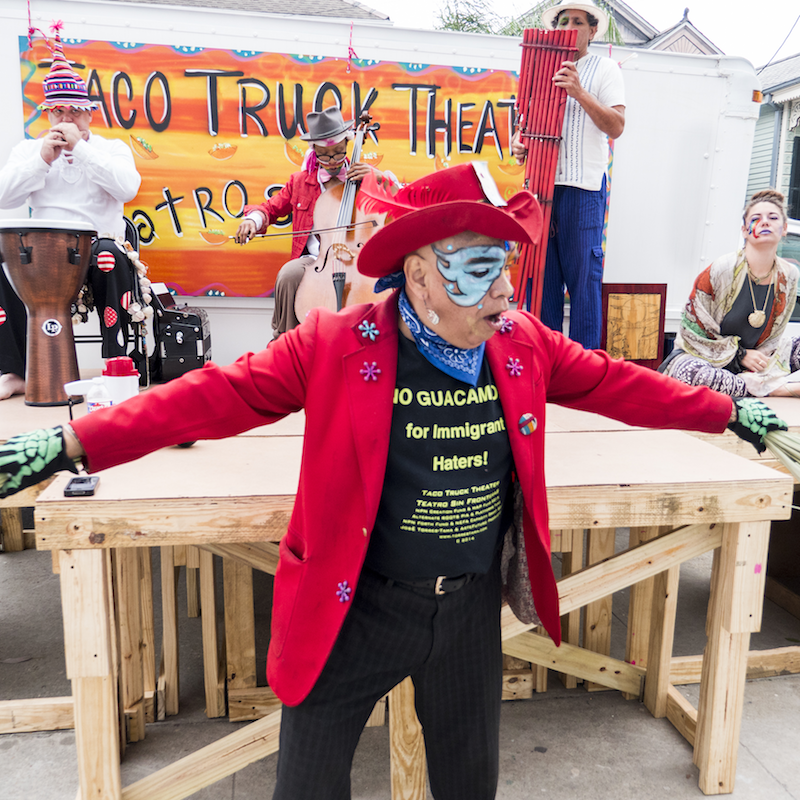 Taco Truck Theater / Teatro Sin Fronteras is a radical theater on wheels with a diverse ensemble of performers that tackles the anti-immigrant hysteria gripping country. Scripted and produced by NALAC grantee José Torres-Tama & ArteFuturo Productions, the project highlights the experiences of immigrants through spoken word poems, solo pieces, and collective vignettes. It's time to turn off the lights for the planet. On Saturday March 25th, from 8:30 p.m. to 9:30 p.m. local time in every geography, the world unites in a global movement to elevate the critical importance of taking climate action. Climate change affects every person on the planet, but in the US it disproportionally affects the Hispanic community. As per the most recent census, 30 million Hispanics live in the states hardest hit by climate change: California, Florida and Texas. The artistic community can have a special role this year. 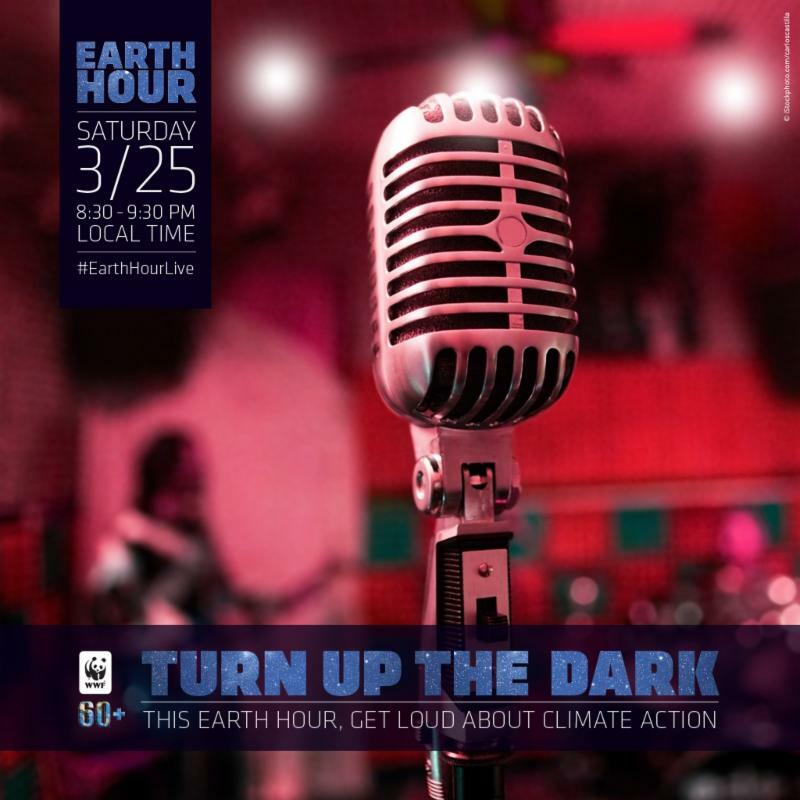 During Earth Hour, go live on your Facebook page or other live channel to engage fans in the climate movement using #EarthHourLive. Music, comedy, and art of all forms have the ability to inspire and ignite meaningful action. Join artists, architects, designers, engineers and renewable energy manufacturers for a Land Art Generator Initiative (LAGI) Workshop. Workshop participants will be working on a mural that will generate power for a Westside food pantry. The workshop is a project of LISC, Local Initiatives Support Corporation, in partnership with the San Antonio Chapter of the American Institute of Architects, Land Heritage Institute, and LiftFund. Attendance is free, but registration is required. RSVP here. 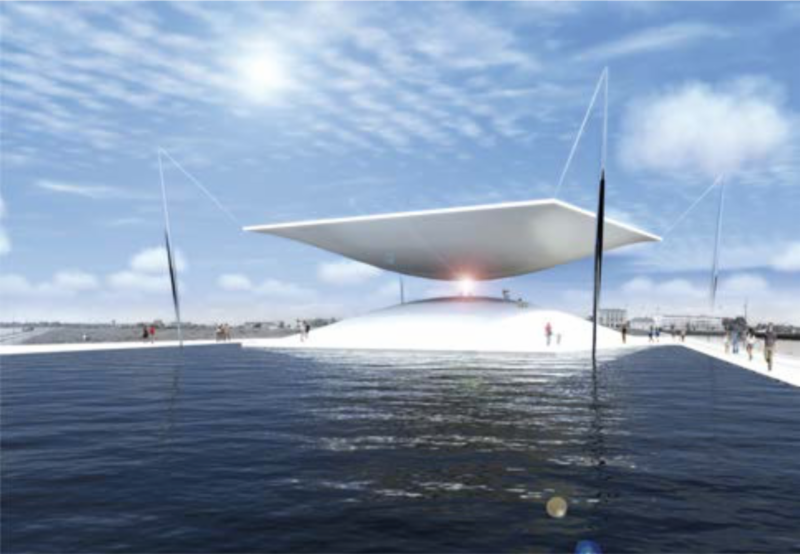 The Solar Hourglass, Santiago Muros Cortés. Buenos Aires, Argentina. Concentrated Solar Power. TheNational Immigration Law Center revised their factsheet "Knowing Your Rights at Home and at Work," which outlines how to respond to immigration officers who may be asking to enter a home or place of work. Take a look at theEnglish version here, and view inSpanish here. The Smithsonian Latino Center is accepting applications for their Young Ambassadors Program (YAP). The YAP is a nationally recognized program for graduating high school seniors that fosters the next generation of Latino leaders in the arts, sciences, and humanities via the Smithsonian Institution and its resources. The program consists of a week-long, paid training seminar in D.C. followed by a four-week internship with a $2,000 program stipend. The application deadline is April 9, 2017. Learn more. the Surdna Foundation, Andrew Mellon Foundation, Ford Foundation, National Endowment for the Arts, Doris Duke Charitable Foundation, Nathan Cummings Foundation, W. K. Kellogg Foundation, Texas Commission on the Arts, City of San Antonio Department of Arts and Culture. The National Association of Latino Arts and Cultures (NALAC) is a legacy organization investing in the Latino heritage of this nation. For 27 years, NALAC has built a strong foundation for the promotion of Latino arts and culture and its advocacy efforts have advanced issues of cultural equity and raised the visibility and understanding of Latino artistic and cultural expression. The National Association of Latino Arts and Cultures (NALAC) is the nation's leading nonprofit organization exclusively dedicated to the promotion, advancement, development, and cultivation of the Latino arts field. In this capacity, NALAC stimulates and facilitates intergenerational dialogues among disciplines, languages, and traditional and contemporary expressions. NALAC serves thousands of Latino artists and hundreds of organizations representing a national and international community of multiple Latinidades; a network that crosses many cultures across the Latino Diaspora. For more information visit our website at www.nalac.org or like us on Facebook at www.facebook.com/Nalac.arts1.